I had a very sociable day today with tea and chocolate cake with my friend this morning. We would have gone for a walk but it was so windy it was almost dangerous. So we sat and watched the chaps over the road fitting the ridge tiles on the roof instead. How could anyone could sit astride the roof so casually in this wind? 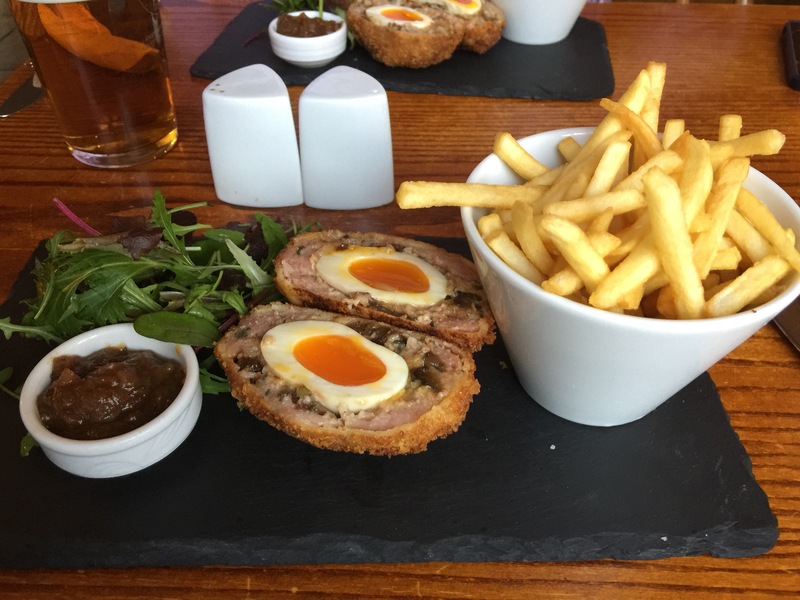 Then lunch out and this beautiful homemade Scotch Egg and chips. I drove home in the pouring rain dodging odd bits of tree strewn over the road. I was quite glad to be safe home.